How cute can a spider be? Bella had been asking for a spider. She would always tell me, "Mommy, let us make a spider!" And one day, we finally made her spider. 1. First, cut a certain part of the toilet paper roll. It is up to you on how thick you want your spider to be. 2. Glue a colored paper around it. 3. Cut the excess paper into strips so that it will be easier to glue and the result is cleaner. After cutting, glue them to the inside of the toilet paper roll. 4. Cut 8 strips of cardboard. You can do this using different colors. Then fold the upper side and lower side of the same thickness. One side will be glued to the body of the spider while the other side is the feet. 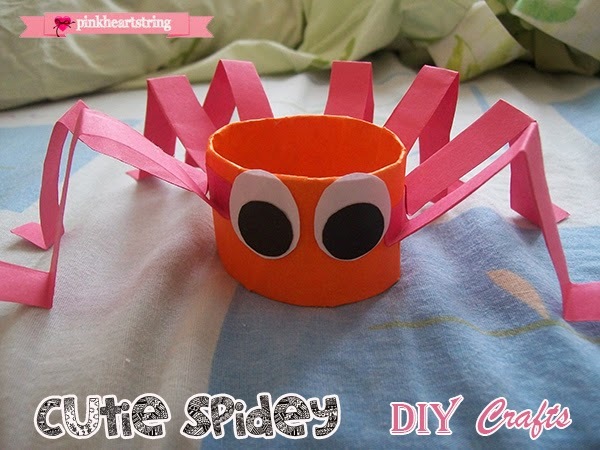 Then fold the center too so that it will act as the knees of the spider. Would you make one for your little love? It would look better in different colors! Aw, how cute! I love this! And it seems easy enough that my 7 and 5 year old could do it with minimal assistance! That is so adorable! 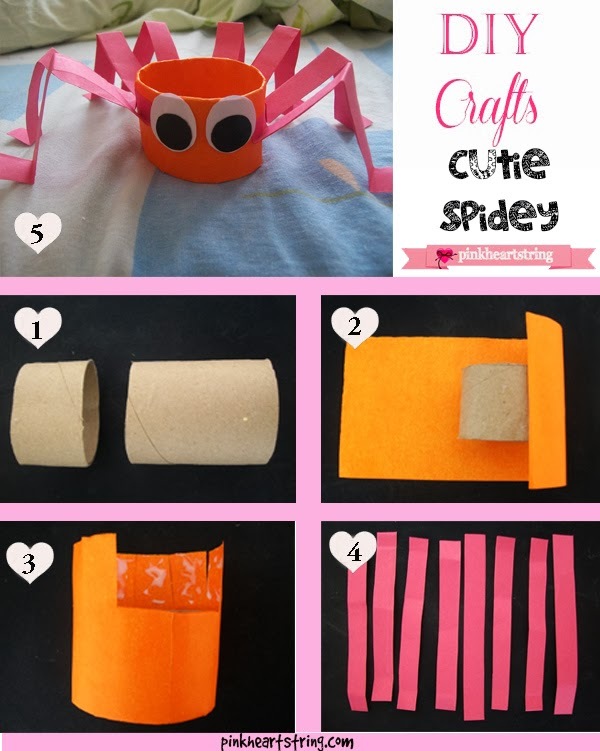 Looks like an easy craft too, perfect for winter break! Aww this is so cute! I'll have to maek this with my nephew next time i have him. That looks so adorable and easy to do! Just what I needed to keep my little one occupied during winter break! Thanks for sharing. Happy Holidays! This will have to be one of my projects for the new year!